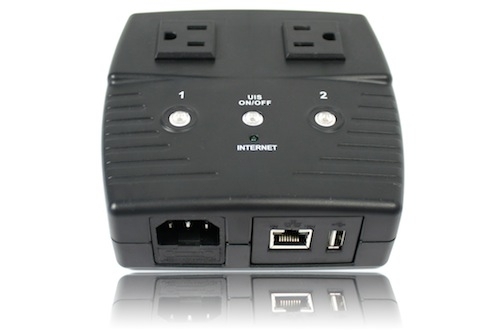 The 3Gstore IP Power Switch is a simple product that automatically power-cycles any device when internet connectivity is lost. All you have to do is connect the included ethernet cable from the 3Gstore IP Switch to your router, and then connect the power cables of the devices that you want to be power-cycled when internet connectivity is lost, like your DSL modem and router. Thanks to my ISP (Rogers) I didn't have long to wait until it proved that it actually worked. I noticed my internet connections getting steadily worse one evening. Was going to check it out, but it was dinner time. By the time dinner was over and dishes done the internet connection was good. Checked the 3GStore Remote Power Switch logs - lo and behold - it had rebooted my cable modem. Wish I had got one of these years ago.